Retired teacher and public education leader. Pastoral musician, community activist, parliamentarian, and photographer. 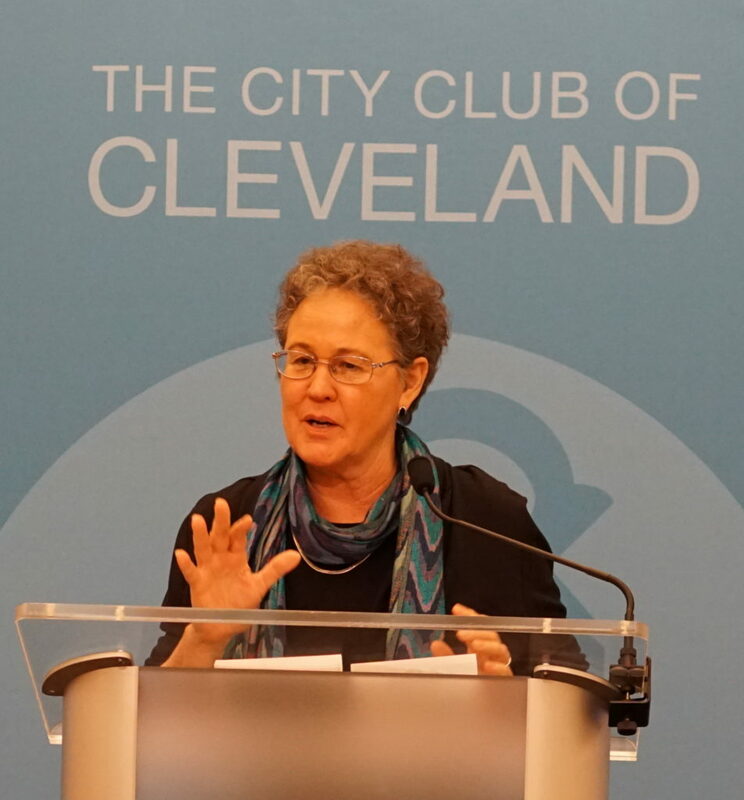 Education researcher and writer Linda Darling-Hammond spoke at The City Club of Cleveland on Friday, January 25. I attended with a group from the Northeast Ohio Friends of Public Education. The sellout crowd heard a talk that was inspiring, entertaining, and informative. Darling-Hammond provided a steady stream of observations about what works and what doesn’t. She identified challenges in modern education that were of interest to an audience representing many parts of the education community. The world’s knowledge is increasing exponentially at a time when technology is diminishing the value of simple informational recall. Relationships matter and can relieve the effects of toxic stress, but they are not easily promoted in factory-style schools. Ohio’s continued misuse of the very testing regimes that she attacked so vigorously. Overall, I am glad we heard her: she laid out enough points of information to serve as guidance for policymakers, even though she left it to her audience to connect those dots. 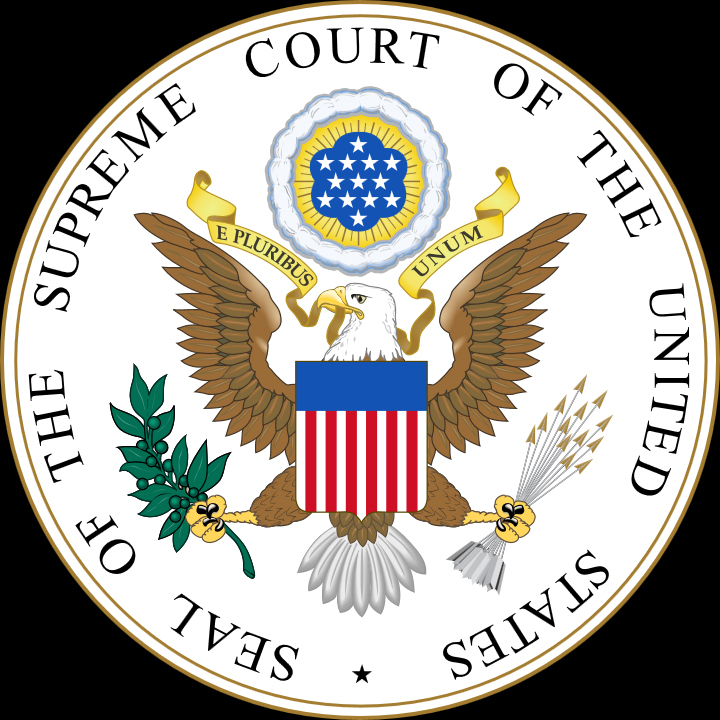 Let me be clear about my political leanings on Judge Kavanaugh. I have no idea what he did or didn’t do as a high school or college student. That doesn’t mean it isn’t important. What’s more important is what he does in this moment. And seeing and evaluating that will require time. I am a parliamentarian, and have spent over forty years advising organizations to which I belonged. The most important lesson I have learned in that role is to make sure that the deliberative process has integrity. This work requires balancing my policy goals as a member and leader with my duty as a parliamentarian to give advice fairly and without favor. 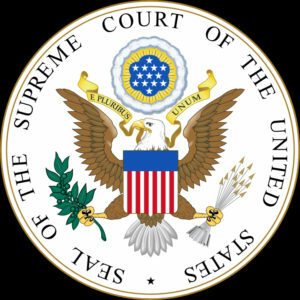 From the Senate that had no problem leaving the court with eight members for a year, the argument that haste is important now is simply laughable. The majority’s work of reducing the rights of workers, minorities, and women while strengthening those of billionaires and gun owners needs to wait while all Americans witness a process that they can believe in. What Alan Simpson said about integrity applies to organizations as well as to individuals: “If you have integrity, nothing else matters. If you don’t have integrity, nothing else matters.” Senators who, to achieve their policy goals, insist on an unrealistic timetable, forgoing an honest and thorough procedure, diminish the integrity of themselves, the Senate, and the Supreme Court. And if they don’t have integrity, then nothing else matters. 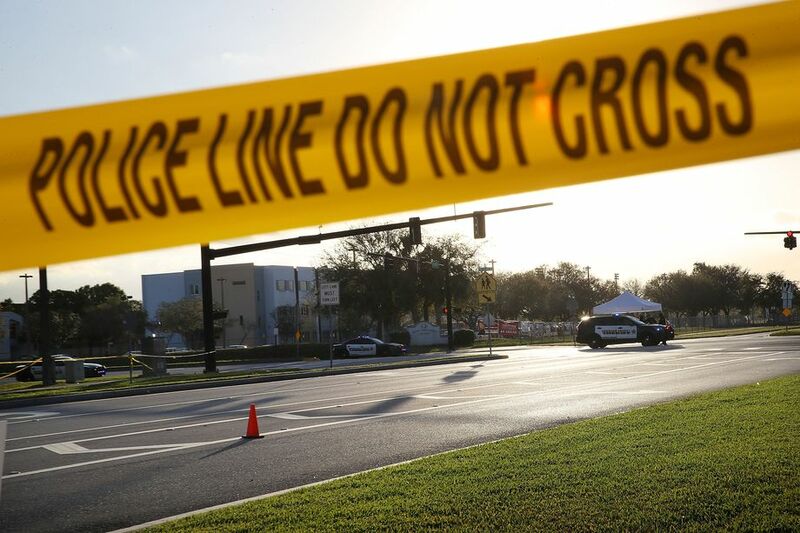 When I look at the reactions to recent school shooting incidents, I am struck by two things. First, lots of people seem to have opinions about what will and won’t work to reduce violence in the nations’ schools. Second, nobody really knows. I count myself in this: my 0pinion is that we should outlaw assault weapons, strengthen background checks, reduce the age limit for purchases, and so forth.1 But that’s just an opinion; I don’t have data to support it. And, as somebody said once, unless you have data, you’re just another person with an opinion. I hear legislators jumping on one bandwagon or another: they have their beliefs, but they generally don’t know much about the causes of school violence. That doesn’t surprise me: what does shock me is that they haven’t taken any action to learn more. That would seem to be a no-brainer: We’ve been averaging one school shooting a week; outside of war zones, no other country has this problem. Congress loves to investigate, so where are the Congressional hearings on school violence? The only document I’ve been able to find is a post-Columbine FBI paper prepared nearly twenty years ago. (You can read and/or download it here.) You would think that nineteen years later, somebody at the federal level would say, “Hey, this doesn’t seem to be right. Why is this happening, and what can we do about it?” But no. They’d rather opine. So when I contacted my federal legislators, I didn’t ask them to fix the problem; I don’t believe they are capable at present of fixing it. Instead, I asked them to use their authority to find the fix.2 Here’s my letter; feel free to copy it and paste it into your own. In 2019 we will observe the twentieth anniversary of the Columbine High School massacre. In those years, hundreds of American communities have been torn by a uniquely American epidemic of school violence that has only gotten worse. 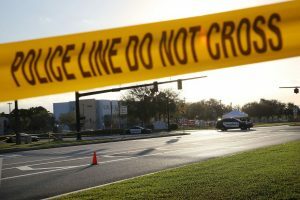 In the aftermath of last week's Marjory Stoneman Douglas High School shootings, I'm sure that you are receiving countless calls and emails asking for specific steps: better background checks, reducing the firearms purchase age, arming the teachers, hardening the sites, enacting a ban on assault weapons, etc. I'm not doing that. I confess that I am not sure what will cure this epidemic of school violence. What I am sure of is that the epidemic is not normal. I call on you and your colleagues in the [House,Senate] to begin the steps necessary to create a national commission on school violence. The purpose of the commission would be to explore the evidence about why we have such a high level of school violence and what we can do to reduce or eliminate it. This commission should operate at the highest level of government, involving all three branches of the federal government, state and local officials, and educators, parents, and students. It should work quickly and make its results public as soon as possible. Two previous examples are instructive: "A Nation at Risk" in 1983 and "The 9/11 Commission Report" in 2004. Both documents and the commissions that created them were responses to a national sense that something was deeply wrong. Of the two, the 1983 report was flawed by ideology and politics, while the 2004 report is generally regarded as a model for such projects. It is important that the commission be properly constituted and that its report follow the example of the latter. No consensus presently exists about what we can do to end school violence. Even so, it is unconscionable that the highest authorities in the nation have done essentially nothing to find out why we have this problem and what we can do about it. The education alternatives David Osborne offered at The City Club on Friday were thought-provoking but flawed. I value the work of the Cleveland City Club, and I’m proud to serve on its Education Committee, where we work to bring presenters to the podium of America’s oldest free speech forum. The Education Committee is a diverse group, with members representing a wide variety of interests. The City Club aims to bring a wide variety of opinions to the podium, and sometimes I attend presentations where I expect I won’t hear much that I like. (We should all do more of that.) Friday’s was one of those. Osborne’s talk was entitled “Reinventing America’s Schools: Creating a 21st Century Educational System.” That’s also the title of his most recent book, which I haven’t read; to be fair, it’s likely that the book explains things that weren’t addressed in his talk. Osborne focused on three school systems which he identified as showing exceptional improvement among large city schools. He identified two of those, New Orleans and the District of Columbia, as previously corrupt enterprises that have improved educational performance for their students, and he credited the third, Indianapolis, with introducing “innovation schools” within the public system. In all three examples, Osborne credits charter schools for most of the improvement. He their their variety, risk-taking, accountability, and autonomy. Few would miss what he derided as the “cookie-cutter model” of big-city education. But he evidently sees the loss of neighborhood schools, career teachers, democratic local control, stability, and consistency as a worthwhile price to pay, and I think we might miss those. I don’t think that’s a realistic solution. To make the future we desire as a nation and a society, we must educate all our children, and we must educate them well. Claims of a better educational system must demonstrate that they are scalable and sustainable. Osborne’s vision is neither. 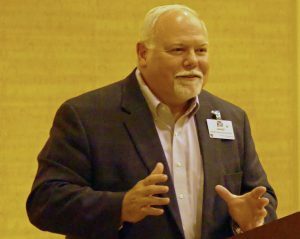 When asked about scaling his ideas to all of OEA’s school districts, he admitted that it probably wouldn’t work, at least not for a long time. He has no answer for the geographic realities of rural areas, and didn’t address why taxpayers and parents in successful school districts would want to blow up a working system. A sustainable educational system needs to be worthy of public support. Public schools are a democratically-governed public good, and it’s hard for me to believe that the public will support a patchwork of schools that they don’t own and don’t control. In response to a question he said, “People think there’s one right answer, and I disagree.” And I, in turn, have to disagree with that. Granted, it’s difficult to find a correct answer, but where one exists we have a responsibility to find it. I don’t think he’s found it yet. He continued, “I think there are lots of different kids who will thrive in different environments, and their parents should be allowed to make the choice of the environment that they think their child is going to thrive in.” That’s education-as-commodity thinking at work: taken to its extreme, it brought us ECOT. It negates education as a public good, and if allowed to, it renders education unworthy of public support. I don’t want to give the impression that I thought the hour was wasted. Osborne is a thoughtful, knowledgeable speaker, and he represents concerns shared by many of us, in and out of traditional public schools. Most of us wouldn’t want to work or attend school systems he described as “too centralized and hierarchical, so their principals and their teachers feel disempowered.” And his concerns about the potential risks of universal voucher systems (“widening inequality and . . . increasing intolerance”) were exactly right. Indisputably, the schools making up the “portfolio” that Osborne supports are educational institutions. But can we build a sustainable educational system on them? I have my doubts, and so should voters. You can read more about the forum, hear the audio podcast, and view the video here. Ever since my November 10 surgery on a biceps tendon, people have asked how I’m doing. I’m gratified that they care, and I’ll put some answers here. I’m trying to approach this whole episode as a learning experience, and perhaps some will find it interesting. My pain and movement limitations weren’t too bad at that point, but if the damage weren’t repaired it could easily tear the rest of the way, which is more painful, disabling, and complicated to treat. The repair is interesting, as shown in this unthreatening YouTube video. My surgeon, Dr. Scott Zimmer, has a couple of twists on the procedure shown there, but overall the video offers a pretty accurate look at the surgery he performed. 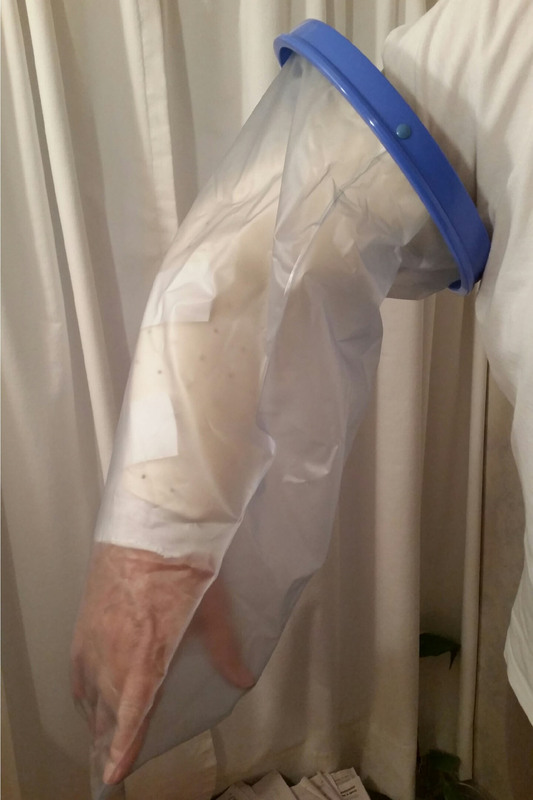 For the first week, a half-cast immobilized the arm while the incision was covered by a bandage. 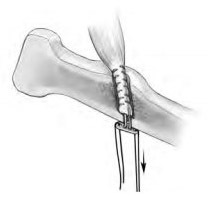 The main job of the half-cast was to immobilize the arm and give the incision a chance to heal. The first week was inconvenient not significantly painful. Mostly I was tired, taking a lot of naps. I took some ibuprofen but avoided the available Percocet. 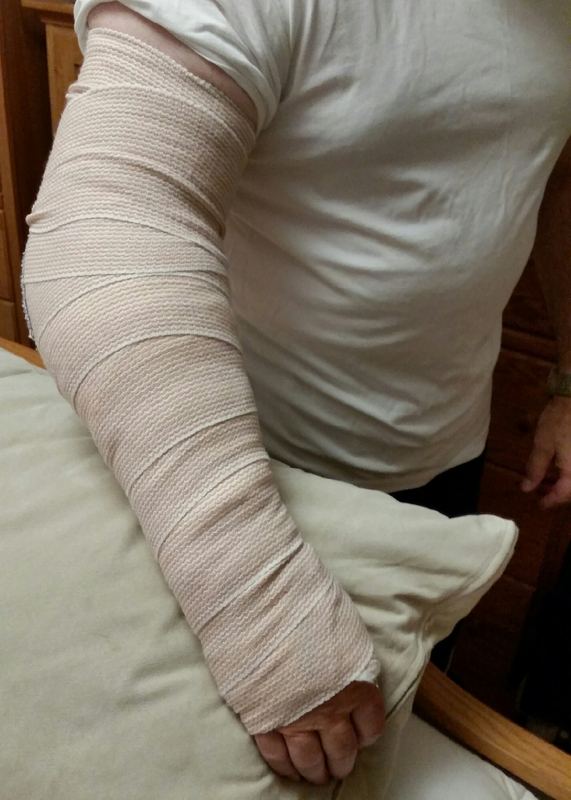 A week after the surgery, a physical therapist replaced the half-cast with a brace, which allows more movement. It’s also removable for cleaning and for the exercises which she prescribed. I’ve been doing those religiously ever since. 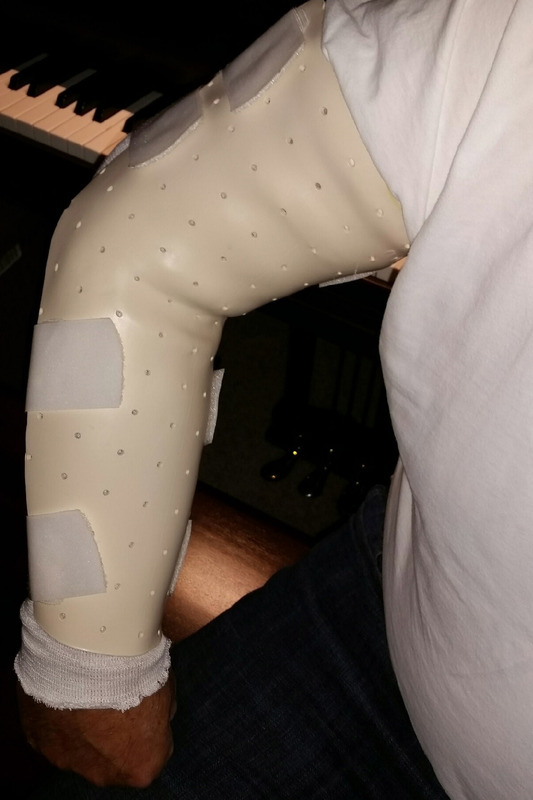 The stitches were removed on Wednesday, and I learned that I will be wearing the brace until December 20, although I can take it off when I’m sitting around or doing the prescribed exercises. I can drive, but long distances wouldn’t be advisable. I can type and write, but poorly and with some pain. I am exercising to regain range of motion. Everything takes longer than it normally would, especially since I’m right-handed.4 And I’m tired: even today, over two weeks since the surgery, I still take a lot of naps. Until I see him next, the doctor wants me to wear the brace when playing the piano. Practicing with the brace is awkward and irritating. I’ll start regular physical therapy next week, so things could change if I make spectacular progress. 5 Full recovery and normal strength is measured in months, not weeks. I don’t expect my right hand to have normal strength right away, but I tend to be too loud anyway. So, if you’re one of those wondering how it’s going, now you know. These days Republican candidates are under a lot of pressure to establish that they are True Conservatives, and that means embracing school choice, low taxes, and business interests. But it hasn’t been that long since the state’s largest teachers’ union endorsed Republican Mary Taylor for State Representative in 2004. Now she’s Ohio’s Lieutenant Governor, and she is running to succeed term-limited John Kasich as Ohio’s next Governor in the 2018 election. Taylor identifies as a conservative, but on education she downplays ideology. She affirmed her support for school choice, but she also pointed out the need for charter school accountability. Perhaps more important, she recognizes that charter schools were originally envisioned as laboratories to try out education innovations–not just to provide competition for the public schools. She wants to bridge what she sees as an excessively sharp division in K-12 education between college prep and career training tracks. 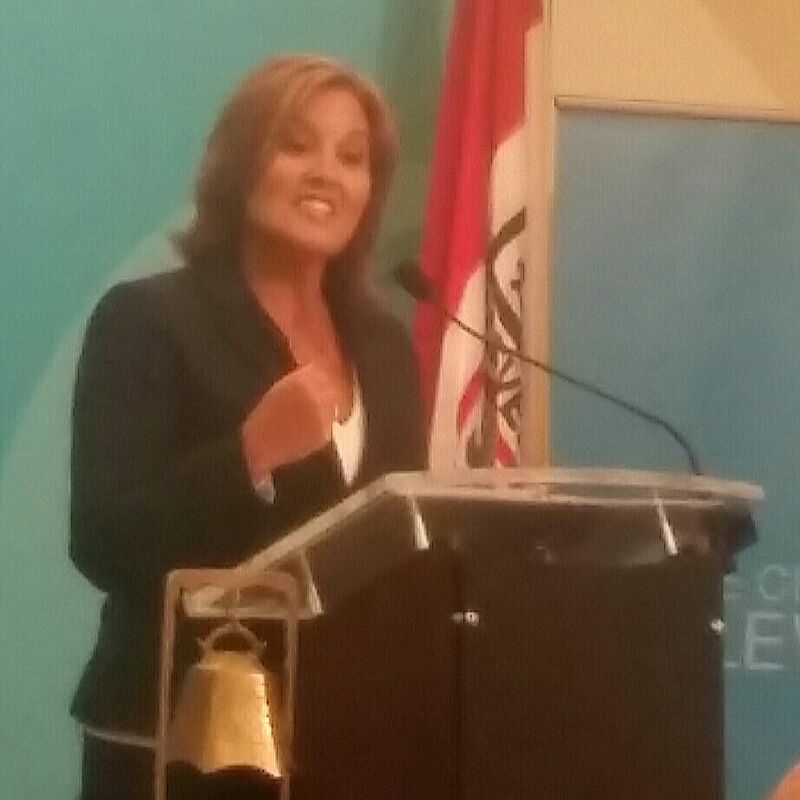 You can hear or see the whole session on The City Club’s website; or you can focus on what she said about education. Here are points I identified from the audio podcast: you can hear all three in less than five minutes. At 17:29, she makes her position statement on education, and this is where she mentions her concern about the separation between college prep and career education. At 28:30, you can hear her address my stock question to candidates for Governor: “What will a Mary Taylor administration do to maintain and improve Ohio’s common schools?” You can judge for yourself how successfully she answered the question. At 50:00, she answers a Twitter question about vouchers. All three comments are important to understanding her stance on education, and you can listen and draw your own conclusions. Four Republicans are running already for Governor, and it’s likely that one of them will represent their party in the fall 2018 election. Even Democrats like me need to pay attention to their positions. I plan to ask my question to as many of the candidates as possible, and I’ll report my impressions here. The First Day of . . . I haven’t really had an answer, but I do have some guesses. I have been fortunate to have a wide variety of interests, and they have always competed with each other. So within the next month or so I’ll begin to see what I enjoy the most and what I miss the most, and that should give me some direction. At the heart of my expectations would be family and friends: enjoying our children and grandchildren, doing further genealogy exploration, and reconnecting with friends I’ve been too busy to see. I will continue to play and sing the music that has always been such a joy to me. I’m looking forward to mastering the “retirement camera” I bought a couple of weeks ago. I have plenty of things to work on in our house and my workshop. I need to read more, write more, cook more, see some movies, and attend some concerts. I continue to care about the state of society and especially our responsibility to educate future generations. I plan to start paying attention to my health. And I’ve been preparing this website. My friend Dan Dyer is perhaps my biggest role model: his “Dawn Reader” blog provides an excellent example of retirement energy well-spent online. Author StgCoachPosted on July 1, 2017 July 1, 2017 Categories Uncategorized12 Comments on The First Day of . . . 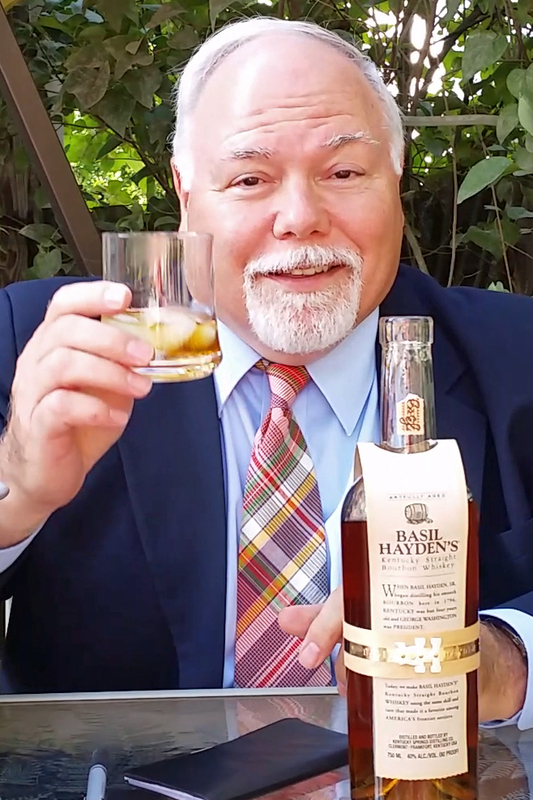 This post originally appeared on the website of my 2016 campaign for State Board of Education, http://bill4board.us. I’ve enjoyed two marvelous careers: first as a teacher of English and theatre (and, occasionally, psychology); and second as executive director of the North Eastern Ohio Education Association (NEOEA). But I’ve always had other interests: public policy, parliamentary procedure, union leadership, music, genealogy, and photography. Since retiring in 2017, I’ve focused on those interests. As is perhaps obvious, I’m still figuring out what I want to be when I grow up.